Sensational Ranch in the Highly Sought After Four Seasons Neighborhood in Fort Mill. This home has the southern Front Porch and a very PRIVATE back Screened Porch you can use year round! 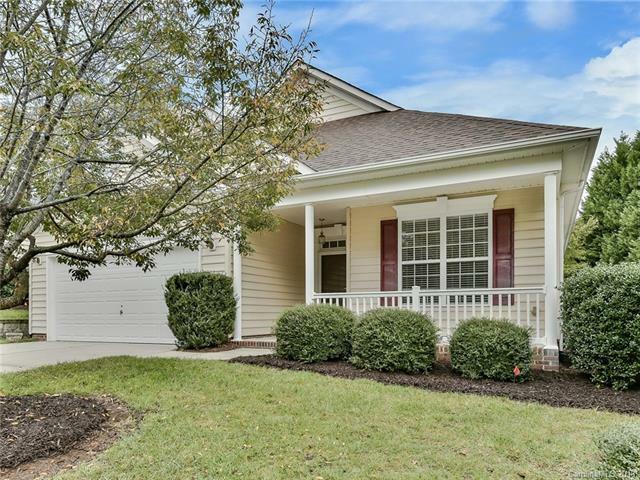 So many upgrades: rich hardwoods in living areas, granite counter top and island/bar, tile back splash, tile flooring in baths, AND gorgeous NEW walk-in tile shower in master. The washer, dryer and newer refrigerator are included. Dishwasher is also newer and hot water heater brand new (2018). So many closets, you'll be tickled to have all your decorations and treasures within reach. Full Laundry Room. Home is so privately set on this lot. This 55+ neighborhood offers scheduled activities, games and parties. There's a pool, putt golf, fitness, tennis, clubhouse and so much more! Now this is retirement at it's best!